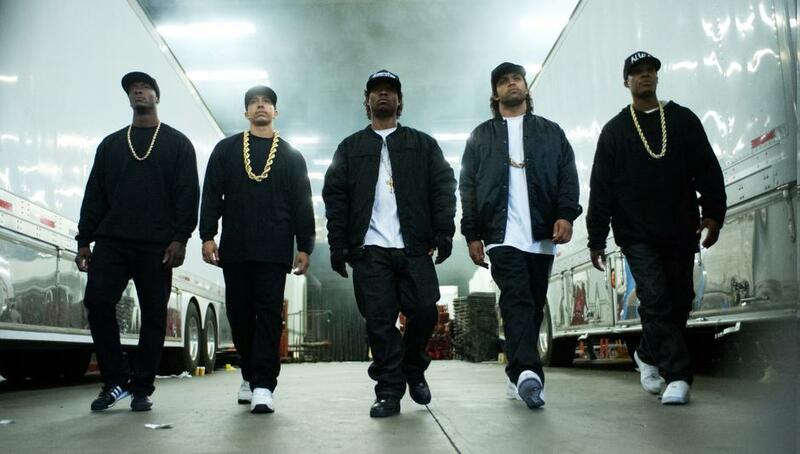 On August 14, 2015, F. Gary Gray released a movie entitled, “Straight Outta Compton”, a biographical drama film about the 1998 group NWA that portrayed the lives of Ice Cube (O’Shea Jackson), Dr. Dre (Corey Hawkins) Eazy E (Jason Mitchell), DJ Yella and McRen. The movie told the astonishing a story about five young men that roamed the streets of Compton, California- a city that claims to be the most dangerous of the country. We enter the lives of these guys, their ordeal, and how their music rebelled against abusive authority. Their voices were heard by a silent generation; and so opened people’s eyes to the horrific events that occurred around them, police brutality. Police officers judged their appearance. If one of them drove in an expensive car or wore flashy jewelry, police thought they stole it or assumed they sold drugs. However, in the case of the five, Eazy E while Ice Cube wrote the rhymes and Dr. Dre produced the beats. Each of them were struggling financially, money had always been the motive for them. Since they wanted an escape from their generation poverty and street corner life, they all came together and gained the knowledge of how luxurious but toxic fame could be. It could either make or break them. Unfortunately it broke them apart; even though, promises were made. Labels, contracts, money, women and egos got into the mix, leaving everyone broken. Ice Cube bounced back into the acting industry while Dr. Dre produce beats for your favorite rappers today, but sadly, Eazy E died from HIV in March 23, 1995. The movie has been well received by many critics, has received positive reviews, and has made over $140 million.